Android is now everywhere, from the ubiquitous smartphones and tablets to cars, cameras, satellites (no kidding), light bulbs (seriously) and more. Today is the first time I’ve come across a full sized projector running Android. 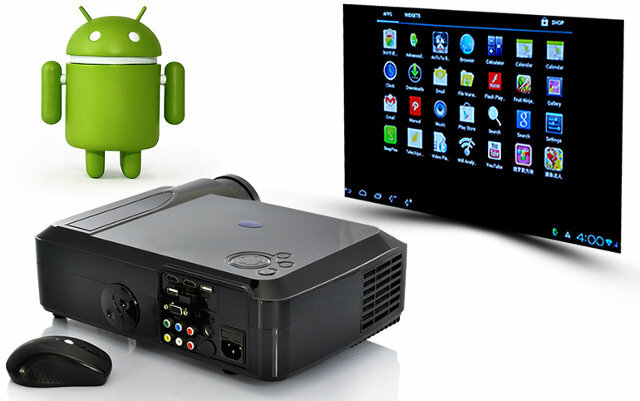 The “Smartbeam” is a 2000 lumens 1280×768 (native) projector powered by Telechips TCC8925 with 512 MB RAM and 4 GB Flash running Android 4.0.4 (ICS), so the performance should be very similar to CX-01 mini PC. 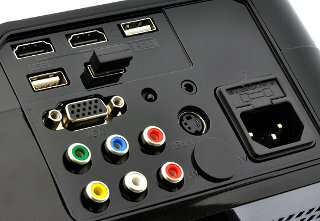 The project is sold with a wireless mouse, VGA/AV and power cables, an IR remote control, and a user manual. Since the solution is based on Telechips TCC8925, it’s likely it will be hackable (i.e. custom ROMs), but you’ll probably won’t be able to run Linux on it. Chinavasion has a promotion video showing the device in action, and how it will make your girl (and her friends) have what looks like the best time of their life… I’m very surprised by the clarity of the image, and I suppose it won’t be as sharp and clear in actual use. Smartbeam multimedia projector sells for $422 on Chinavasion, but I initially discovered the products on Dealextreme for $538 sold as model EPW5801AA1, which looks exactly the same, except it has 3 USB ports (instead of 2), and the lamp life is claimed to be 50,000 hours (Yeah right…). However, Dealextreme does not list the processor and RAM for the device, so it could be a different solution with a similar casing.